Personal Defense Academy provides firearm training of all levels. We specialize in NC Concealed Carry Handgun and NRA Training courses led by NRA and North Carolina Criminal Justice Training and Standards certified concealed carry firearms instructors. Personal Defense Academy's Instructors have created various safety courses including in home safety and public venues such as churches and small businesses. 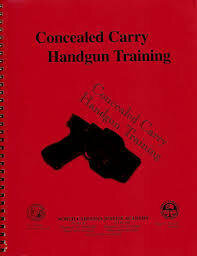 Once you select the North Carolina Concealed Handgun Class you will be prompted to select the date you wish to atend. Items Required: Handgun (student's or academy rental), 100 rounds of ammunition, eye protection, ear protection, billed cap (baseball type). 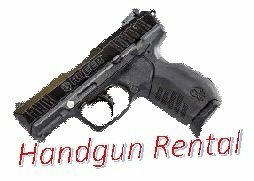 For the persons renting an academy handgun eye and ear protection will be provided. Registration required prior to class date..
For the persons renting an academy handgun ammunition, eye and ear protection will be provided. One on One Personal Training $50.00 for the first 2 hours $20. 00 each hour after. Personal Defense Academy instructors will meet with your church directors for an evaluation of the premises. Upon completion of the evaluation a preliminary training solution will be discussed, including training. Personal Defense Academy offers an in the home firearm safety class free of charge to anyone wishing to attend. The course is offered in three formats each best suited to its specific audience. Personal Defense Academy offers experienced instructors with a relaxed atmosphere. Any class conducted by our academy begins with safety, and ends with a satisfied customer. We are the only academy to GUARANTEE that after completion of any pistol fundamentals training provided by Personal Defense Academy you will pass the range qualification for CCH or you get 100% of CCH course fee back! Does not include handgun rental or academy provided ammunition. My wife and I enjoyed the class and learned so much and I would advise anyone who's buying a hand gun to take this class so you would know how to respect and use your firearm and know the laws as well. You will learn so much. And I'll say if you think you know it all trust me you don't these guys are experts at this. Matt is a certified NRA Instructor, certified by the North Carolina Criminal Justice Training and Standards as a law enforcement instructor and as a certified concealed carry firearms instructor. Matt has over 13 years of law enforcement experience with most of that time spent training other officers. Matt instructs Basic Law Enforcement Training, and law enforcement in-service classes for a local community college. Ed is also a certified NRA Instructor and is certified by the North Carolina Criminal Justice Training and Standards as a concealed carry firearms instructor. Ed acquired his experience with firearms from his time in the military, and he is an avid sportsman. Ed earned his Master Degree from Fayetteville State University and has over 20 years of instructional experience.